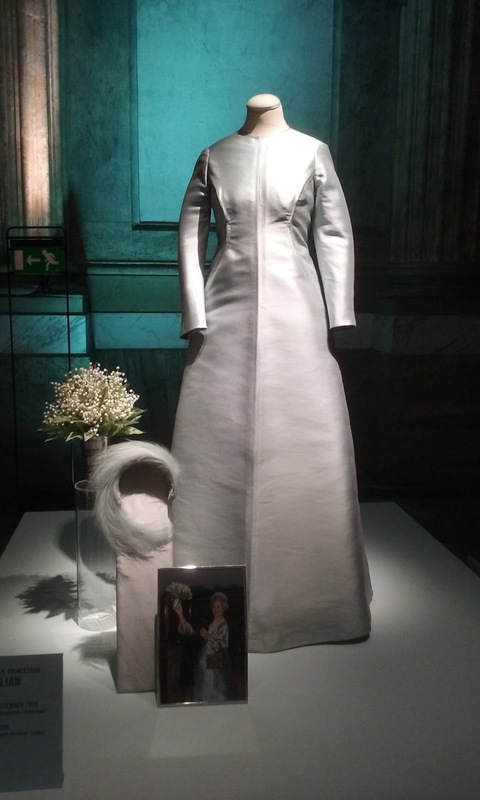 Sweden's Royal Palace opened the most fabulous exhibition in October, Royal Wedding Dresses 1976-2015, offering visitors a chance to get up close and personal with the couture creations worn by the Swedish royal women on their wedding days. The exhibition was a hit and has actually been extended through April 23rd, should you happen to be in Stockholm this month. A few of our fabulous readers were able to visit the palace and have kindly allowed me to share some of their photographs here for all to enjoy. (The original exhibition preview post also includes many more goodies and observations in the comments.) In order to properly luxuriate in the splendor - there is no other way to take in a good royal wedding dress, if you ask me - I'm breaking them up and will be sharing multiple installments with you in the coming months. To start, a dress which might be among the quietest royal wedding dresses, but which represents one of the sweetest royal stories. Today's photos come from the lovely Viola and the lovely Janet, who wrote about her visit here, with big thanks! Princess Lilian's wedding dress was made by her long-time friend and favorite couturier, Elizabeth Wondrak. 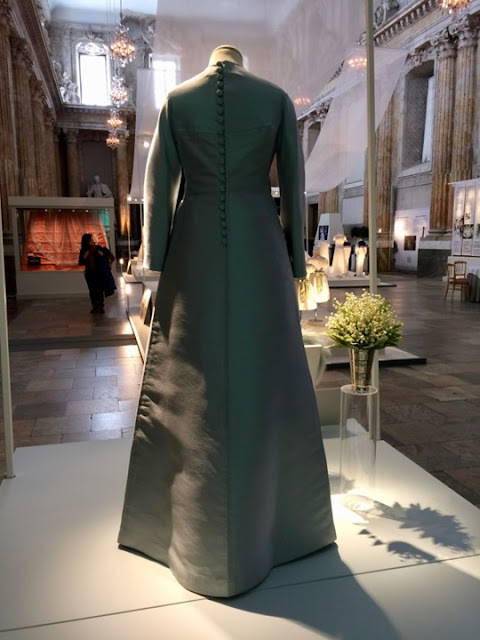 It was an icy blue silk shantung dress with a high collar and long sleeves. Both accessorized with sweeping hairpieces (feathers for Lilian) and bouquets with plenty of lily of the valley, and both absolutely perfect solutions for their respective events. 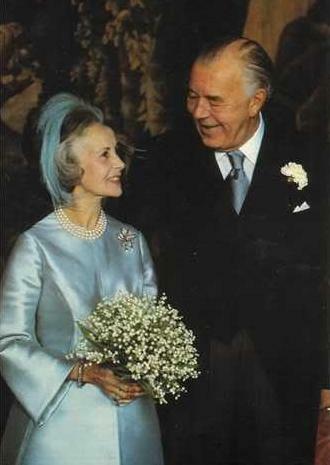 Princess Lilian won a lot of respect over her years with Bertil and with the royal family. She was dignified yet had an undeniable sense of fun, and she was clearly beloved by King Carl Gustaf, Queen Silvia, and their children. She passed away in 2013. Princess Madeleine paid tribute to Lilian in the name of her first child, Leonore Lilian Maria. 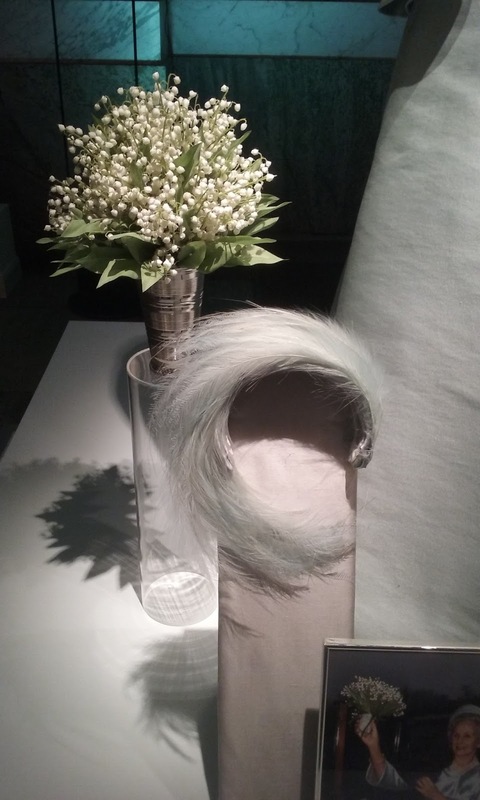 Princess Lilian also left some jewelry to the royal ladies, and she is remembered each time they wear her pieces, such as the Laurel Wreath Tiara she left to Crown Princess Victoria.